I know, I know. 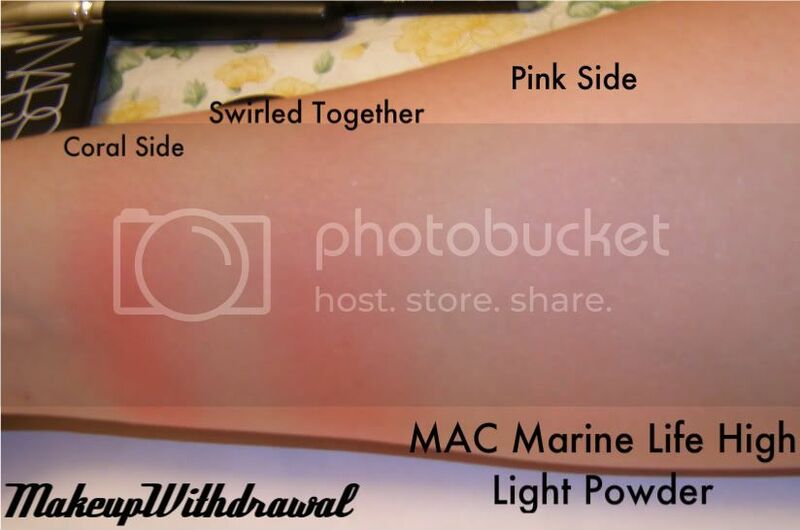 Probably every beauty blog has pictures of MAC Marine Life High Light Powder from the To the Beach collection, I'm just adding to the commotion. Remember when I said three months ago that I -HAD- to have it? Since then, I must have told myself a million times that it was nothing special, the intricate gold is just overspray, blah blah blah. 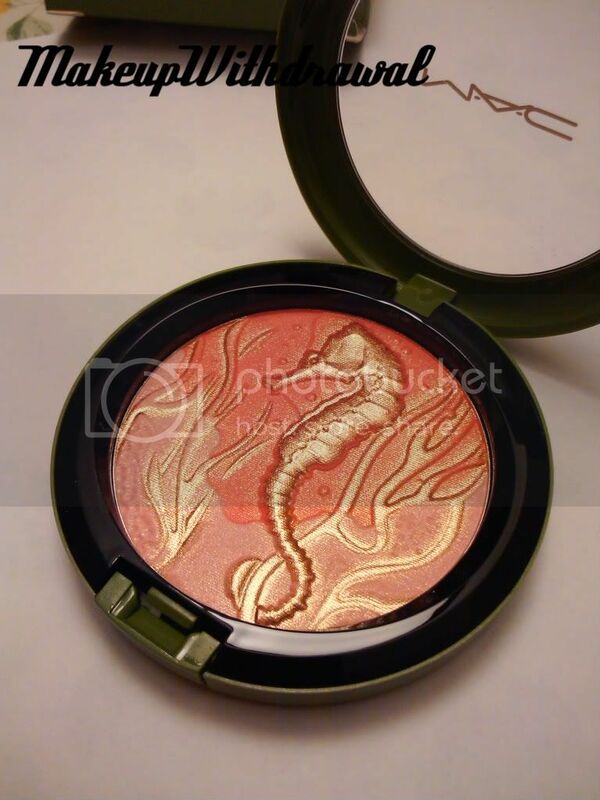 All this reasoning went out my head the moment I stepped in front of the Mall of America MAC. There it was, in a complimenting dark chartreuse case, in all its seahorsey glory. It didn't help that a really adorable male sales associate gushed over it with me. So here it is, laying on the table next to me. I've spent the last hour or so admiring it from a distance, working my courage up to actually use it. 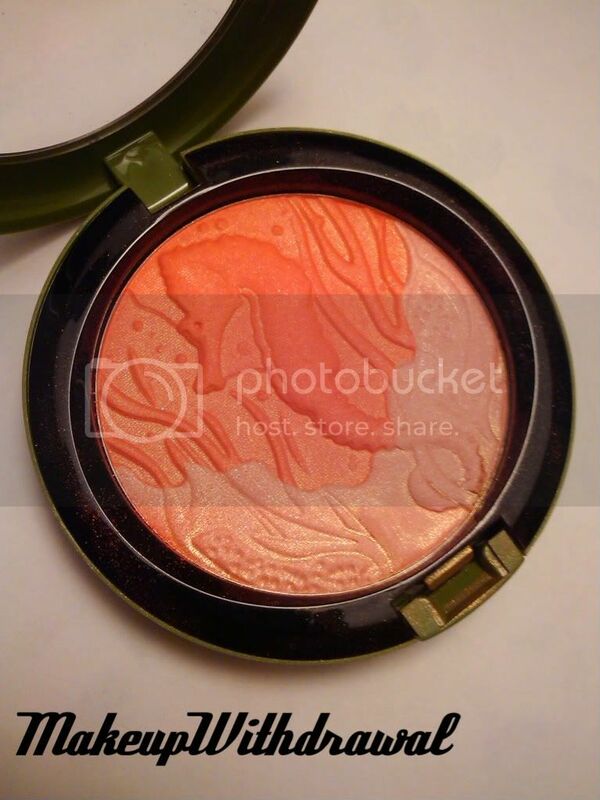 Though billed as a high light powder, it's really bright coral, so would look best used as a blush. I first lightly buffed the gold overspray away, so that my swatches would be indicative of the whole cake, not just the top layer. I apologize that these aren't done in natural light like I usually do, but I figured people would want to see it regardless! 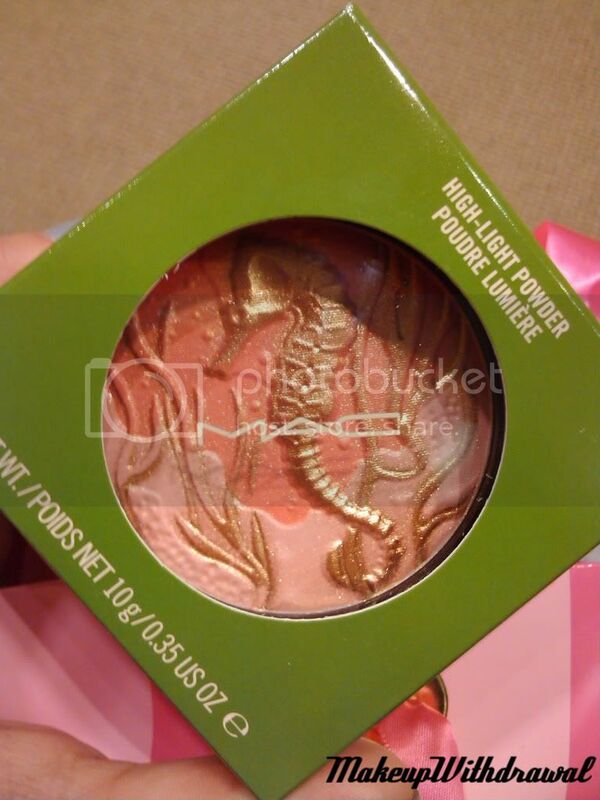 Can't wait to use it in a FOTD, will post pictures soon!